Founded by the owner of the nearby Savoy Theatre, this hotel has been at the centre of entertainment and celebrity in London for over a century. Down the years silver screen idols from Elizabeth Taylor to Nicole Kidman have stayed here. Right in the heart of Theatreland, on the banks of the Thames, the hotel's setting is imposing. Fabulous views of the river even have Monet's seal of approval - he painted them during a period of residence there. The Thames Foyer, where tea is served, is surrounded by a fabulous collection of Art Deco mirrors. Watch yourself tuck into a delectable afternoon's worth of bite-size delights, reflected in their highly-polished surfaces. Served on delicate Royal Doulton bone china, the attention to detail is superb. Don't forget to try the Savoy Blend tea either, it's quite unique. The resident pianist finishes off the ceremonial atmosphere. As well as the traditional afternoon tea, The Savoy now also offers an indulgent alternative Art Decadent Tea in the Beaufort Bar where the delicate tea and accompanying sandwiches can be enjoyed with chilled champagne or a cheeky tea time cocktail. 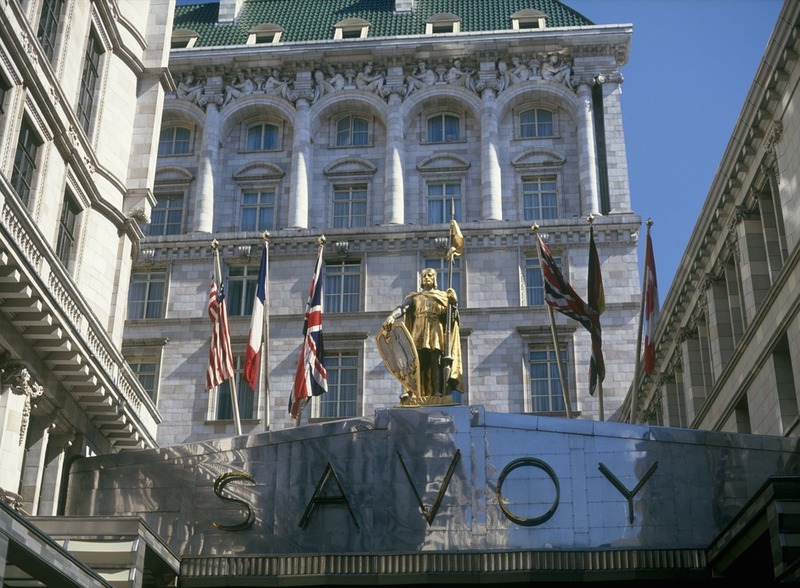 The Savoy Afternoon Tea gyms, sporting activities, health & beauty and fitness. The best pubs near London The Savoy Afternoon Tea. The Savoy Afternoon Tea clubs, bars, cabaret nights, casinos and interesting nightlife. Where to have your meeting, conference, exhibition, private dining or training course near The Savoy Afternoon Tea. From cheap budget hotels to luxury 5 star hotels see our discounts for The Savoy Afternoon Tea hotels, including Radisson Blu Edwardian Mercer Street from 87% off.